So I finally got my fabric to start my new chart that I got custom charted by HAED. I'm sure some of you have read that as a gift to my husband I decided to cross stitch a pic of us. 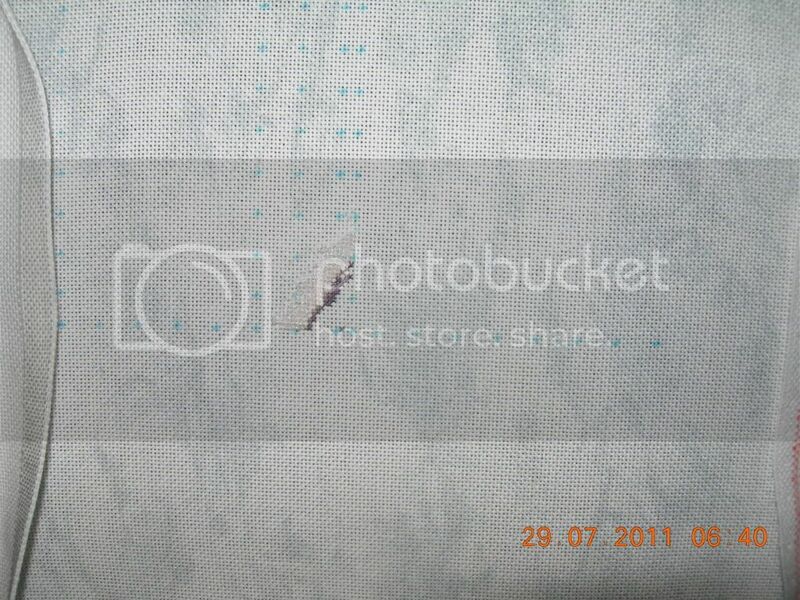 It is a old pic about 10 years old, and it got quite scratched up. But Michele from Haed did a fabulous job and was able to give me a beautiful chart to stitch. I ordered some Zweigart Lugana from Sew and so. And I finally got the fabric last night! Here is a pic so you can get an idea what the gorgeous fabric looks like! As you can see there is a lot of white involved around us, and as part of the 'halo' around us, Michele added just a special touch of sparklies. After talking with a stitching buddy of mine (Michelle) I decided to do the main part of the design first and then the Kreinik, and then save the white for last. So that meant that I could skip to page 3! I wanted to make sure I did everything properly instead of rushing myself in the excitement. So I made myself do the edges and then I grided into the thrid page! Well counted and double counted where the third page started! And then I made my start! 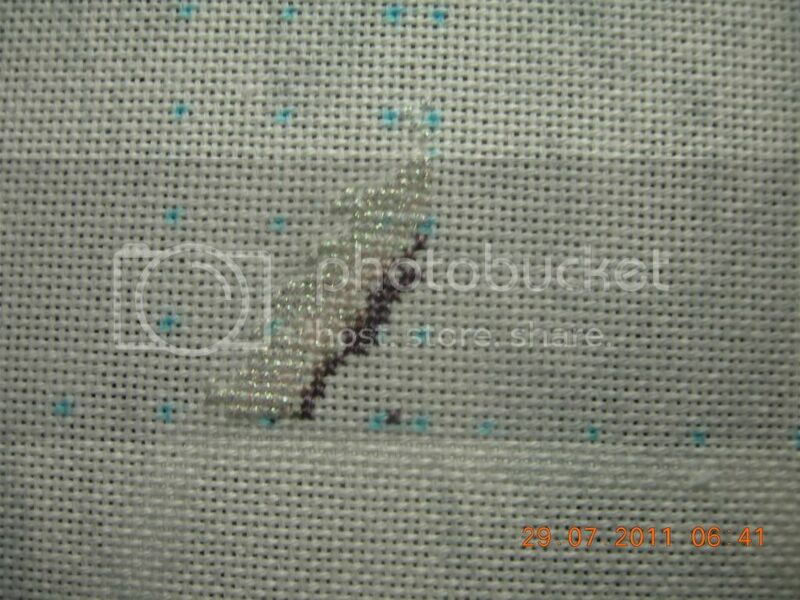 I hope this weekend I will get more time to do some proper stitching on my special project! Great new start. It is going to be gorgeous. Such a great idea. What a beautiful picture is this! I understand that you are so excited and couldn,t wait to start this pattern. what a great idea, I can´t wait to see your progress ! I´m sure it will turn out very beautiful ! 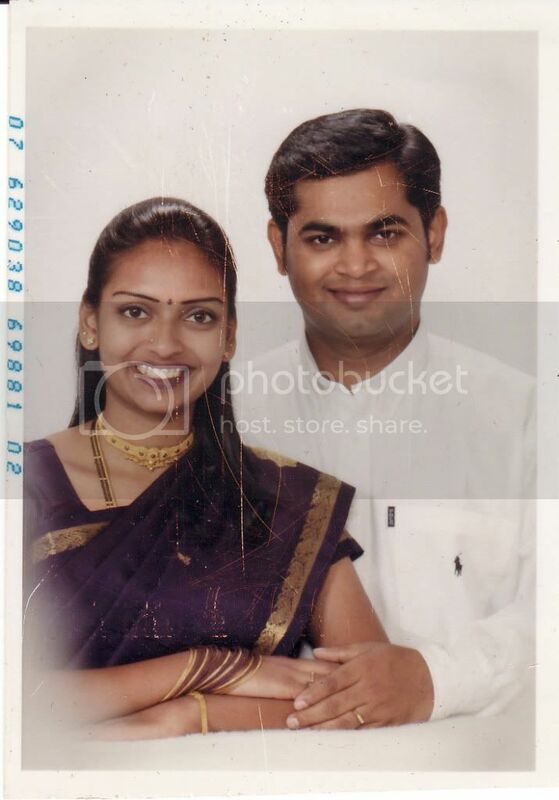 It's a beautiful pic, Vani. I can't wait to see you progress on this!!! That's a beautiful picture and such a lovely present!